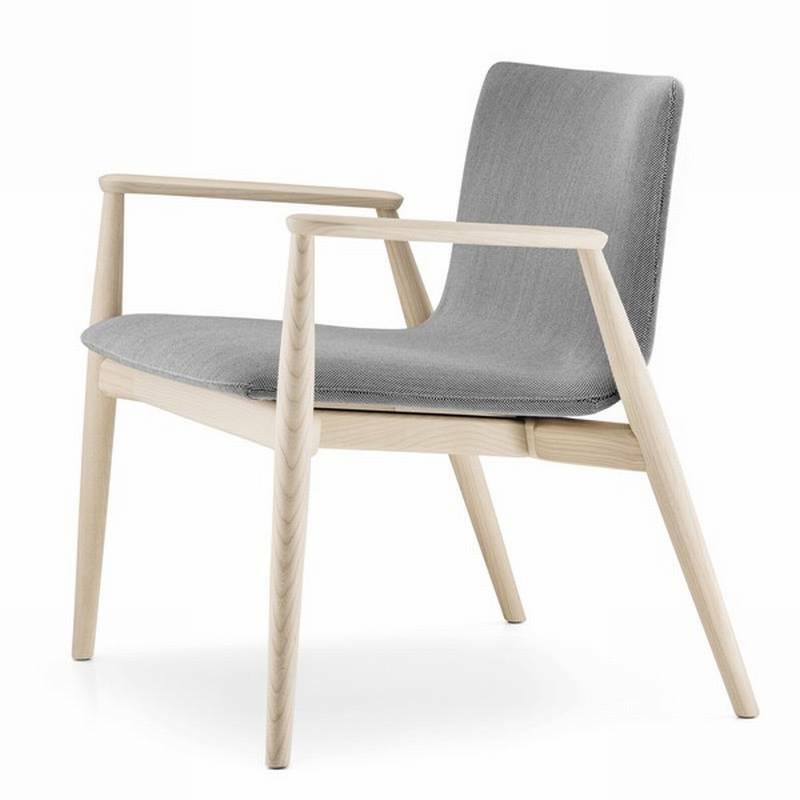 Description A solid wooden lounge chair inspired by Scandanavian living. Made from solid Ash timber with a bleached, black stained or grey stained finish. Padded seat upholstered with fabric or leather, see corresponding samples below for all available colours.